Here we go with part two of our look at season 3. If you haven’t read part one, be sure to take a look! We had reached one of the most controversial episodes that remains missing, The Feast Of Steven! 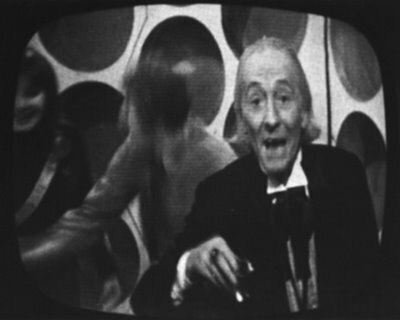 This special episode, perhaps the least likely to turn up as as far as we know it was never telerecorded, also features William Hartnell breaking the ‘fourth-wall’ when he addresses the audience directly to wish them a happy Christmas. This goes to show the extent of the restrictions to how the show was made back in the day that they didn’t have the money or time to simply edit it out. I thought it was a rather endearing twist to the episode myself, and remember looking for it in the novelisation back when I was a kid! The Daleks’ Masterplan then continues on after this one episode interruption, moving toward its dramatic conclusion. Dennis Spooner writes the last five episodes and reintroduces the brilliant Peter Butterworth as the Meddling Monk. Once his part is done, the final two episodes turn very serious again as Sara Kingdom dies in one of the most dramatic deaths in Who-history. What must have been difficult at the time for the production team, Jean Marsh is aged to death in front of the UK audiences eyes. Just UK eyes though, the 12-part serial, offered as only 11 with ‘The Feast of Steven’ not included for overseas sale, is the one Doctor Who story (along with ‘Mission to the Unknown’, its prequel) not to be bought or screened outside the UK. The Australian censors felt it required too many cuts to be suitable for the audience and so the preview tapes were never more than that. It remains the least likely group of episodes to turn up, yet we do have three of the twelve which have been found since the 80s (and whispers of as many as four more having possibly been found). After The Daleks’ Masterplan, we get a very brief idea of what Wiles and Tosh wanted to do with the show. VERY brief. The first move was to cut back the length of the stories. Seasons three and four bear this legacy. Notice that only Dalek stories in these two seasons are more than four parts, with only one exception, The Faceless Ones in season four. The Massacre of St Bartholomew’s Eve follows on the heels of the massive Dalek story, and is possibly the most mysterious of all stories. No telesnaps, about 3 or 4 pictures, it is regarded as somewhat of a classic and is one of the stories I most want to see returned. It is written by John Lucarotti, or at least credited to him. Lucarotti was responsible for two historical stories in season one, Marco Polo and The Aztecs, two stories of a decidedly serious nature, and highly regarded for the time. I feel sure The Massacre is in fact the best of his three, however, is it really his? Donald Tosh rewrote the story extensively, and apparently Lucarotti was not happy with the finished product, believing it strayed too far from his original concept. Lucarotti had wanted to write a story set around the Viking invasions, but Tosh quite rightly had pointed out that they had already been there (The Time Meddler). The result was a story about a less well-known part of history, ending in a shocking massacre which gave the story its title. 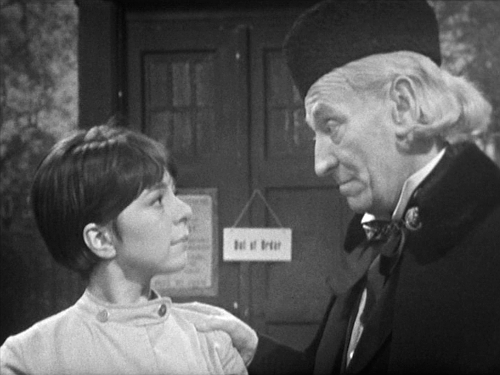 One of the reasons for the massive rewrite was William Hartnell. He needed a holiday, and I think Tosh wanted to limit his involvement in the story because he was experiencing failing health and becoming increasingly harder to work with. In fact, Hartnell and Wiles had huge issues at the time and never got on. People are interested to see Hartnell as ‘The Abbott’ in this story – he played dual roles in The Massacre, something that hadn’t been tried before. The Doctor and the Abbot never meet, in fact the Doctor only appears in the first and fourth parts, and the Abbot in the third episode, with a very brief appearance at the end of episode one. Episode Two only has a short scene featuring Hartnell as the Abbot, this was the episode he was absent from. In fact, the Abbot doesn’t feature that much in the story at all, so Hartnell gets a good break, and you’d have to think that historical were easier on him anyways, as he wouldn’t need to remember as much technical jargon as the science fiction based tales. Having said that, the Doctor returns as a bit of a tour-de-force in the final instalment, ‘Bell of Doom’. He insists on leaving Paris promptly to Steven and refuses to take Ann Chaplet with them. Steven gets very angry when the TARDIS materialises and goes off in a huff. William Hartnell then delivers a speech that is both beautifully written and delivered. It might just be his finest moment playing the Doctor. The choice to introduce the new companion in a fleeting scene in episode four however is somewhat mystifying. The idea that Ann Chaplet, a character Steven tries to help in The Massacre, is an ancestor of Dodo Chaplet is used as an excuse for welcoming the first of two companions to be called Dorothy (Dorothea) as a crew-member makes little sense. She wanders into the TARDIS after she’s just witnessed an accident to get help. Before she knows where she is the TARDIS has taken often. She then forgets in an instant the accident, tells the Doctor she has no parents and seems perfectly fine with going off for adventures. It comes across as extremely rushed and last minute. Dodo is the new companion, with little to no back-story and the rushed introduction. Jackie Lane played the part, perhaps the most elusive of Doctor Who actors since. She does not appear in any of the extras on the DVDs, although she did record a ‘myth makers’ video back in the 1990s. In this way she is something of an enigma. Apparently she remembers very little about her time on the programme, but is not ‘anti-Doctor Who’. Her leaving would be handled poorly off screen, and even worse on. The Ark would be her first proper story, a story we can still enjoy today. Watching it as a story in the middle of a plethora of missing episodes, you could be forgiven for thinking she’d been around for a while. It’s been documented that her accent started off as being ‘regional’, and then was toned down to be more generic. These were production directives, not choices made by Jackie Lane. It’s a fair start for a new companion – she nearly wipes out the human race with a cold in her first full story! 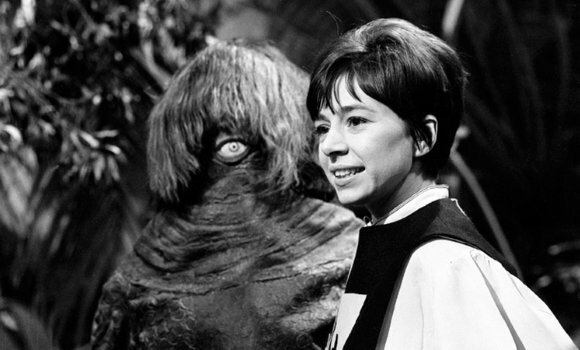 Although there are some major issues with The Ark, the costumes and the Monoids principally, it has a grand sort of vision and the production team did well with sets and creating a jungle in space. Unfortunately the Monoids didn’t look all that good, and in the second half of the story they turned into typical monsters with corny lines and a ‘security kitchen’ (who doesn’t love the security kitchen though, that is surely pure gold!). We were getting an idea though of the Wiles and Tosh direction. Sadly, this is it for them. John Wiles had had enough of the series, and especially William Hartnell. 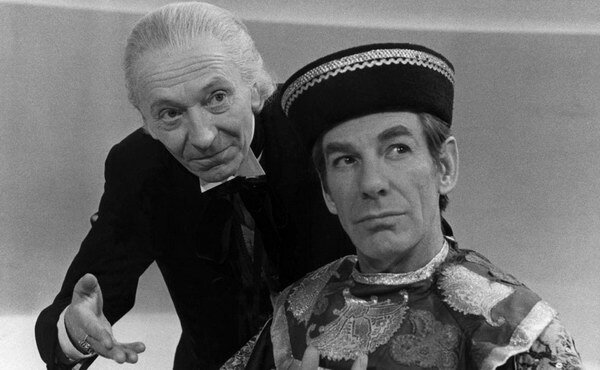 He and Tosh had wanted to change the actor, which they planned to do during ‘The Celestial Toymaker’, but a new producer had already moved in, in the shape of Innes Lloyd. With him he brought in Gerry Davis who replaced Donald Tosh who decided to leave after he realised that Lloyd’s ideas for the series were very different to his. The Celestial Toymaker is a story which was written three times. Firstly by Brian Hayles, then re-written by Donald Tosh, and finally by Gerry Davis. Allowing Hartnell a few more weeks holiday, episodes 2 and 3 only feature his voice (pre-recorded) and a hand. It’s a somewhat odd story, of which only the fourth episode exists today. It’s perhaps the least interesting of the four, consisting of a lot of dice-rolling, but Michael Gough is fantastic in it. Move on next to the last script commissioned by Wiles and Tosh, the much-maligned The Gunfighters. Donald Cotton’s second script may cop a lot of flack, and they certainly played that darned song far too often, but I think this is a wonderful piece of television. The design utilised a very small space especially well, there are some great performances especially from William Hartnell, and more than anything, it’s just a lot of fun. 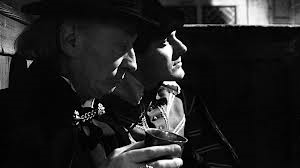 Despite beliefs to the contrary, it did not garner the lowest ratings for the time, and despite a few dodgy accents, it stands out as one of my favourites, if not my favourite, Hartnell adventure. I fear its reputation as a dud preceded it being available for general consumption and fans had already judged it to be a turkey without giving it a chance. Innes Lloyd was busy at the time shaping the series and decided the historicals would have to go. We would only get two-more before Black Orchid in 1982, and they would both follow a different model from Cotton’s humerous take on the show. The emphasis would be on adventure which would drive The Highlanders and especially The Smugglers. Lloyd wanted to make his mark on the show. He continued the policy that Wiles had installed of keeping adventures to four episodes though, for the most part to the near-end of season four. He wanted to shake up the cast, and in the space of a few adventures the entire main cast would leave and be replaced, including William Hartnell. The first to go was Peter Purves, in The Savages. The story, by Ian Stuart Black, is another completely missing tale set on a world in the far future. Interestingly, it is a very thought-provoking story (it could be argued that most of the stories Lloyd oversaw were not aiming to get the audience thinking that much) with strong anti-slavery themes, exploring class and exploitation. Peter Purves didn’t particularly want to leave, but his contract was the first to expire. At least his exit was pretty decent, unlike Dodo’s. The Savages would also see individual episode titles abandoned in favour of a story title with the episodes numbered, the format that would survive until Doctor Who was taken off-air in 1989. The War Machines, also penned by Ian Stuart Black, is often held up as the first example of a ‘UNIT-style’ story. Returned in full (bar a few cuts) in the 1980s from Nigeria, we can at least see this story today. Poor Dodo gets hypnotised by WOTAN and sent to ‘the country’ before the end of the second episode, never to return to even say ‘goodbye’ to the Doctor. Anneke Wills and Michael Craze are introduced as Polly and Ben, the new kids in the TARDIS. We have a modern-day setting, which we haven’t really seen since Planet of Giants, a story where the Doctor, Ian, Susan and Barbara didn’t interact with another character. They seem to have been experimenting with this story, and to be honest it’s not all very convincing. The use of ‘Doctor Who’ instead of Doctor will infuriate fans for the next forty-seven years for example! Innes Lloyd was looking for something to replace the Daleks, but the War Machines’ design (which is all one could expect on that budget) would fall far short of capturing anyone’s imagination. But it is a story which deals with a fear of computers, before it’s time perhaps. Unlike The Savages though, there was a lack of a ‘deeper’ message. It’s a straight forward adventure, rather fun at times and clunky at others, especially dialogue. Polly is portrayed as a hip, ‘swinging sixties’ girl, and we even have scenes set in a night club (the hottest night spot in town). You kind of feel that Dodo doesn’t belong there, and then the Doctor turns up at the club too! And that was how season three finished up. Season Four would see a greater change as Hartnell would be convinced to leave the programme and would be replaced by Patrick Troughton. The Cybermen would be a feature of the next season, making their debut and soon racking up a second appearance. The Daleks also would get two stories, the second intended as their final story. We would see two new companions go as Michael Craze would get the similar sort of treatment that Jackie Lane had received. Season Three is regarded as a season where the show waned. The ratings did fall in the third season, especially for the historical stories, but actually I think some of the best 60’s Who comes from the third season. The programme is in a state of flux, changing, evolving, finding a way to survive, and new tales to tell. Season Four would see things settle, the ratings improve, and a model for Season 5 be developed. The injection of a new lead actor in the role of the Doctor would provide the ratings lift the show needed. The exciting times were not about to end.